A special Read All About It podcast as I interview one of my daughters, Rebecca, who is the most enthusiastic reader out of my three children. 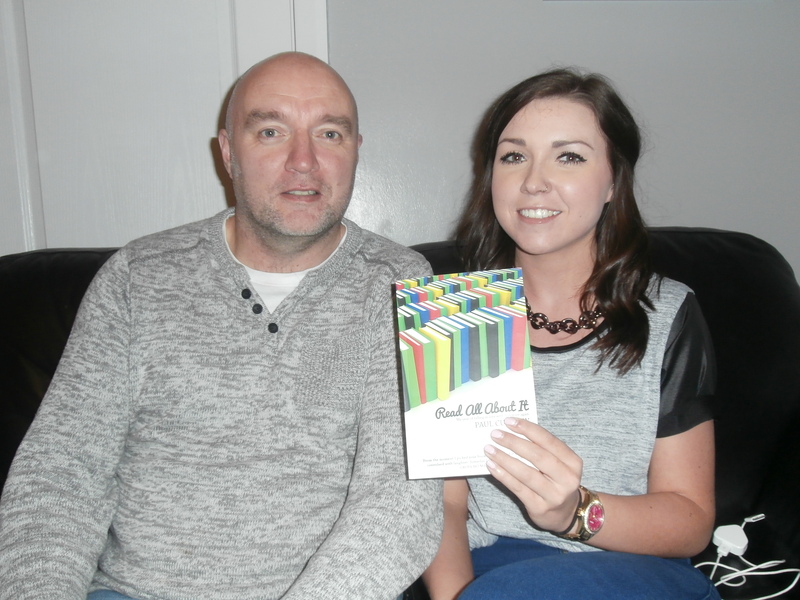 Rebecca with her favourite book of 2014. Rebecca has just finished her second year at the University of Strathclyde, and despite starting off studying English, her studies are now concentrated on history. It was an unusual experience to interview my daughter, but enjoyable apart from the fact she didn’t choose any of my novels among her favourites.